Russian Translation Pros is a language company for Russian, Ukrainian, and English translation and interpretation services in Chicago, Illinois. With a network of experienced translators and interpreters, you can rest assured that we can assist you with language-related challenge you might face. Our Russian language professionals are proficient in Chicago's most developed industries, including finance, commerce, industry, technology, telecommunications, and transportation. While we have developed a solid reputation for achieving top-quality translation and interpretation results for many of Chicago's government agencies and world-renowned companies, we also help private citizens with their personal translation needs. For example, we certify and notarize translation of Russian and Ukrainian documents for submission to U.S. Courts, USCIS, NVC, and the Russian Embassy in Washington D.C., Ukrainian consulate in Chicago, and Belarus embassy in our capital. Whether you need translation of a simple personal letter, a complex legal document, or a large technical project, Russian Translation Pros can help. Our translation experts have years of experience working in and around Chicago, including its Northwest suburbs, such as Buffalo Grove, Skokie, Highland Park, Northbrook, and Wilmette. We hold our team of translators to high standards to make sure we consistently get the translation right, on or before your deadline, at an affordable price. Our mission is to earn your business over and over again by delivering exceptional value on every project. Our Russian translation agency translates every type of document. We also make certified and notarized translations from Russian, Ukrainian, English languages. Certified translation is when a translator working on the document certifies (attests) that s/he is responsible for an accuracy of the translated documentation. Certified paper is a word-by-word translation of the original text with the Affidavit of Accuracy. Our certified Russian translations are accepted by USCIS, NVC, Russian, Ukrainian, and Belarus Embassies and Consulates. We can also assist you with translation of medical documents, technical documents, legal papers. When you have an interpreter who is conversant in your topic, all language barriers are removed and you can rest assured that you understand and are being understood. At Russian Translation Pros, we assign an experienced interpreter who is well-suited for your specific needs. We do that by selecting an interpreter who has both a language related degree and work experience in the subject matter. Our professional Russian interpreters facilitate clear two-way communication by going beyond word-by-word translation. They also analyze and integrate tone and emotion so that you always get the full context of the translated message. Our interpreters are adept at all forms of Russian and English interpreting, including consecutive, whispered, and simultaneous conference interpreting. 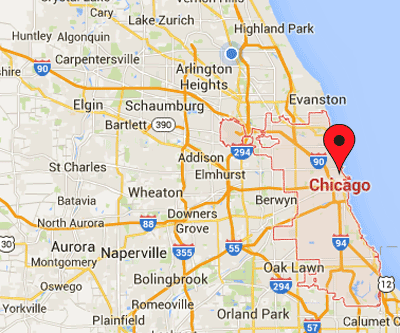 Our clients include individuals, government, and corporate clients in and around Chicago. Our Chicago Russian-English interpreters are also skilled at diplomatic and international protocols. For years, our clients have hired us to provide professional, accurate, and neutral interpretation during what are often grueling sessions. For example, Russian Translation Pros was an official Russian language provider during the first Russian national exhibition. We provided simultaneous Russian interpreting and interpreting equipment during this first Russian national exhibition at Chicago's McCormick Place, which took place in November of 2009. Plus, we have interpreters with vast experience interpreting at Green Card, Asylum, and other immigration interviews. Most of the time immigrant visa interviews are held at the Chicago USCIS Field Office located at 101 W Congress Pkwy, Chicago, IL; Asulym interviews take place at the Asylum Office for Illinois at 181 W Madison Street, Suite 3000, Chicago, IL 60602; and immigration hearings are scheduled at the Chicago Immigration Court - 525 W Van Buren St Suite 500 Chicago, IL. In accordance with the USCIS website, we make sure that we provide adequate, accurate, and neutral interpretation during immigration interviews. Our rates are very competitive and vary depending on the subject, assignment duration, and type of interpretation (simultaneous or consecutive).